One area where smart tech is already lowering costs and improving productivity is the use of GPS tracking for vehicles. 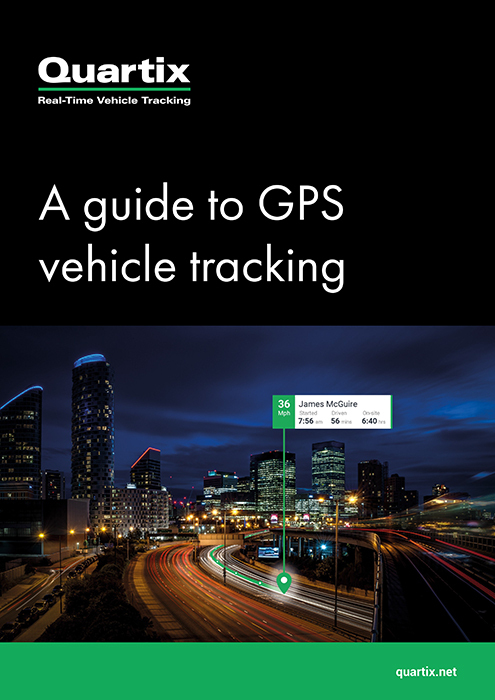 This ebook from Quartix offers a comprehensive guide to the benefits of using GPS tracking, from locating vehicles to lowering fuel costs and improving driver behaviour, with real-world examples of how it works. The ability to pinpoint vehicles online means companies can keep tabs on staff and machinery, reallocating them to jobs as needed, avoid unexpected repair bills by monitoring vehicle usage and even locate lost or stolen vehicles quickly and easily. Furthermore, tracking data provides companies with a better picture of how long different jobs take – and how much they cost. This can help to optimise staff and equipment allocation, as well as providing detailed insights to better inform bidding on new contracts. GPS tracking also enables more accurate accounting, with detailed timesheets that can be used to validate overtime payments, provide precise billing for clients and accurately forecast costs. Another key benefit of GPS tracking is better driver behaviour and safety. League tables and analysis tools help employers to encourage better driving habits and reduce wear and tear on vehicles. GPS tracking also helps construction companies to stay compliant with the latest regulations, providing accessible data and integrated maintenance reminders. Ultimately, a strong GPS tracking system helps construction firms to ensure their fleet operates safely, legally and effectively. This ebook gives an overview of all these benefits – and much more besides – with examples of how companies have put the technology to use.